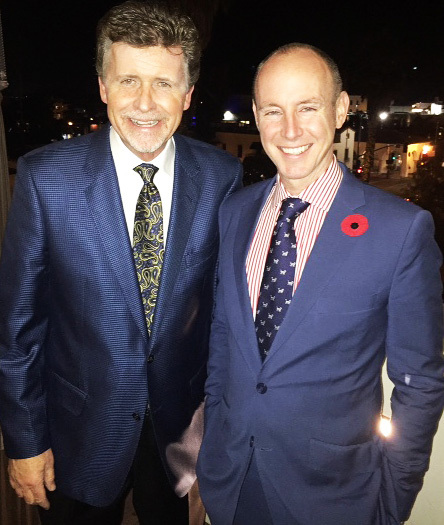 With the brilliant Daniel Hannan from the UK at the Reagan Ranch Center. He was the keynote speaker for the Presidents Club Weekend. Daniel is an essential force in the "Brexit" movement. He also knows more about California history than most Californians. Photo: Brent Baker, November 2017.